Growing up in Cantebury one can take for granted the beautiful picturesque scenery that makes up the Maling Road Precinct. The high ceilings and prominent location make the old Post Office seem like the gateway to a paradise of the old and the new. Run by Andrew Liew for 10 years Maling Room occupying the heritage listed site has been a forerunner in specialty coffee and third wave development. The full flavour, heavy bodied espressos Andrew and his team produce are not from “double ristrettos” and dark roasts, they are from full-flavoured single shots that are bold and beautiful in milk. Today I went on an espresso excursion and ordered three double espressos: A Brazilian, a South American and their Symmetry House blend. All three were deliciously brewed, excellently presented and unique. Central America – 70% Panama 30% El Salvador: This espresso came with a punch – medium body and sweet bright acidity. The flavours of apricot lingered for 10 minutes. Recommend: long black. Brazil – I tasted deep chocolates and cherry. Again bright acidity and a strong caramel undertone. I didn’t catch the origin so I’ll add that in when I next visit. House – This Symmetry blend had the heaviest body I have ever tasted. The body was no less than soupy which is great. Serious strong flavours and mild acidity that will cut through milk and delight latte drinkers. Recommend with milk as it was designed! Each shot came in a ceramic cappuccino cup and a glass of water. These espressos have flavours that last! 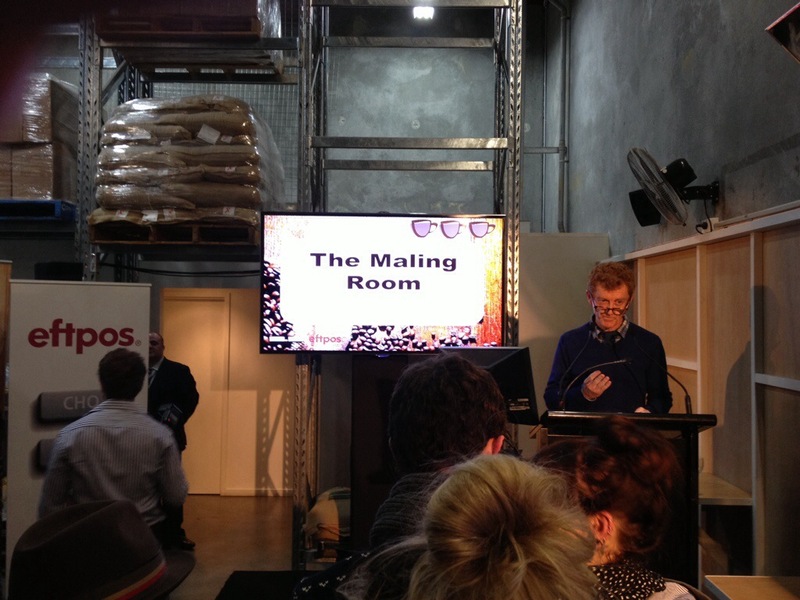 In recent years the ionic Maling Room in the spacious Post office in Canterbury has spread its wings to provide specialty beans to a growing number of very happy and might I say privileged cafes in Melbourne. Cafes such as Prospect in Camberwell and to name a few take advantage of hands on training and excellent sourcing of 90+ Specialty grade coffees from Maling room. Andrew stays hand on in the purchasing, roasting, support and training of all of the cafes. I had the great pleasure of attending the 2013 The Age Good Cafe Guide Awards at Industry in June. 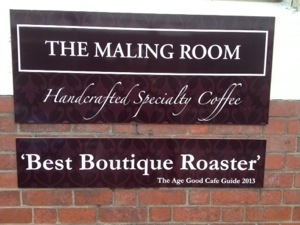 It was no surprise to me that Maling Room took out best boutique roaster. Andrew Liew from Maling Room is a master craftsman when it comes to specialty coffee procurement, roasting and preparation. 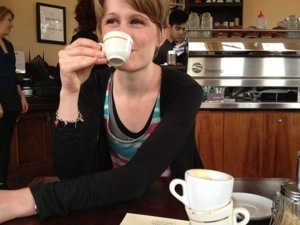 It’s such a joy to see the passion for coffee rewarded! Today I didn’t buy any food but I can tell you from many a weekend breakfast that this place will tantalise and amaze with rich fare and comforting deserts.